Warm destinations like Hawaii and Miami make for great getaways during the winter. But maybe it’s time to try something different. Quebec City, the second largest city in Quebec, is the site of the biggest winter carnival in the world. 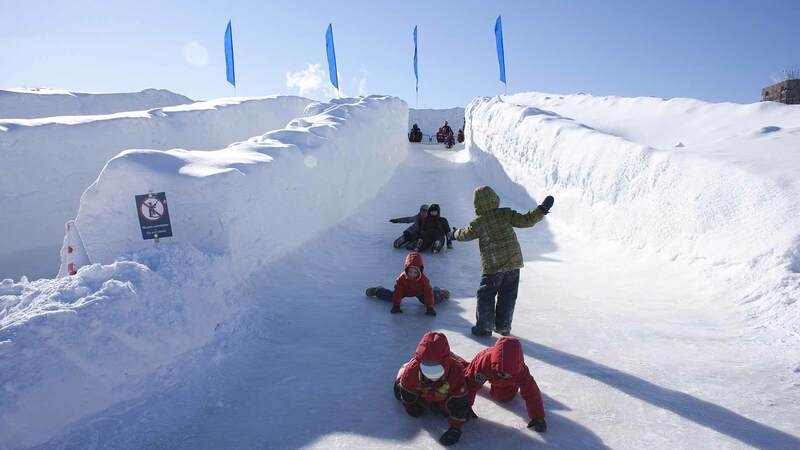 Quebec’s Winter Carnival attracts thousands of people every winter. It takes place every year from the end of January to mid-February. The unmatched hospitality, charm, and joie de vivre of the French Canadian people make for an unforgettable trip. Here’s how to make the most of your Winter Carnival experience. The carnival’s official ambassador, Bonhomme Carnaval, can be seen at many of the events, parades, and even in parts of town that have nothing to do with the festivities. 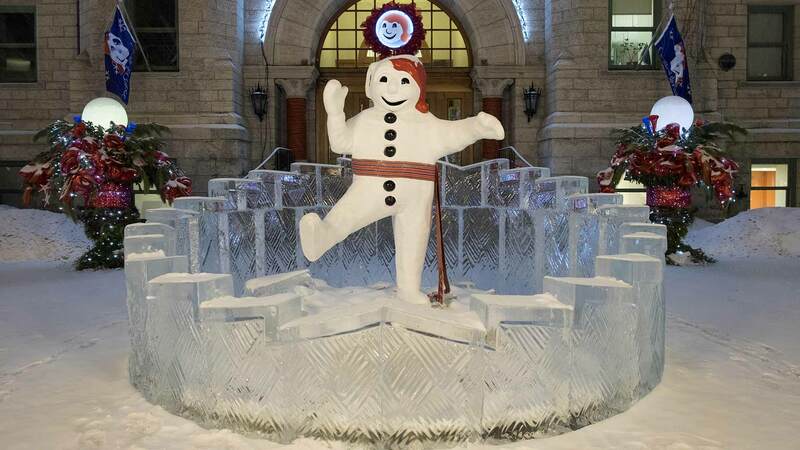 Bonhomme, short for bonhomme de neige, or snowman, has become the symbol of the Quebec Winter Carnival, spreading happiness and good cheer throughout the activities. Ice Slides. Rent a sled and slide down an ice-covered slope. If speed is your thing, this is for you. No steering is necessary – the sled follows a track down the slope. Hair-raising speeds make this activity one of the most popular attractions at the carnival. Visit the Ice Palace. The Ice Palace is a massive structure built almost entirely with blocks of ice, each weighing hundreds of pounds. Every year, it’s designed differently to enhance whatever exhibit it may be housing. Dogsled and Sleigh Rides. Do you prefer a traditional sleigh ride through picturesque, snow-covered terrain, or would you rather “mush” your way around a snowy track on a dogsled? Both activities are available at the carnival. Snow Bath. It takes guts to go out in freezing temperatures in a bathing suit, literally taking a bath in snow. That’s what people do during this event. It’s great fun to watch, but if you’re daring enough to try it yourself, you have to register in advance. Ice Fishing. Catching trout through holes bored in the ice may not be for everyone, but it’s often a big hit with youngsters. Ax Throwing. Watch live ax throwing at an authentic ax throwing range. If you want to feel like an old-time Quebec logger, you can give it a try yourself. For this activity, you have to be 16 or above. Giant Foosball. Take part in a large-scale foosball game with 18 people (9 people per team). You are attached to a pole in groups of threes. If you want to move to kick the ball, cooperation is the only way to do it. The other two people have to move along as well. Giant Bowling: Ever wonder what it’s like to be a bowling ball hurtling toward pins? Now you can find out. In this activity you are inside a giant, see-through ball on your way down the hill toward a monster-sized pin, trying to get a strike. Ice Skating: If ice skating is your thing, there are many places to try it out in Quebec City. A popular place to skate is the historic Plains of Abraham. This site has skate rentals and can accommodate up to 350 skaters. Stay at the Ice Hotel: Hotel de Glace, or Ice Hotel, is a real hotel made completely of ice. You can rent a room, but it’s not cheap. Depending on what package you take, a room can cost anywhere from $279 to $499 CAD per person, per night. Guided tours are also available starting at $16. The carnival features two elaborate night parades complete with floats, colorful lights, and giant characters taking over the streets of Quebec City. Bonhomme is present at both and can be seen riding a float and engaging in antics. French Canadians have traditionally and proudly been an artistic culture. Nowhere is this more evident than the creative costumes and imaginative design of the parade floats. Seeing these night parades is a must. The Charlesbourg Night Parade takes place near the beginning of the carnival. The Upper Town Night Parade is usually scheduled at a later date. Make sure to plan your trip so you can see at least one of them. There are many organized dances and parties throughout the city. Even though it is not an official event, the Masquerade Ball at the Chateau Frontenac has become somewhat of a tradition. 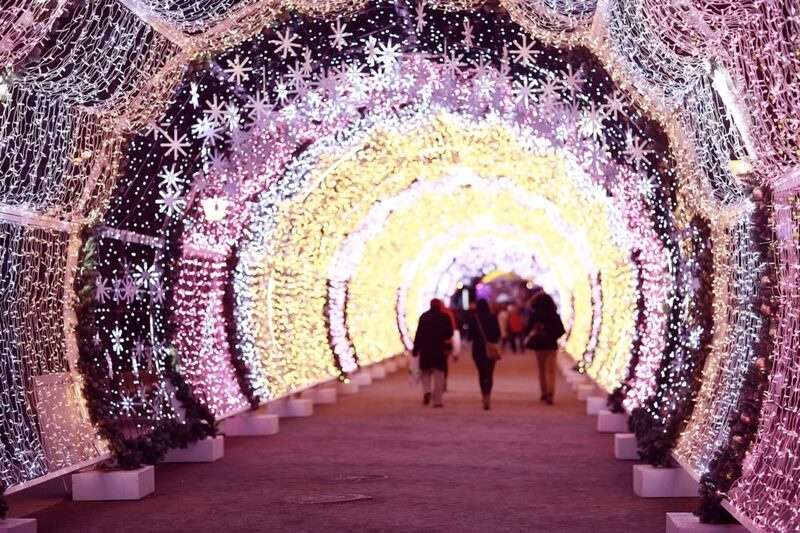 Each year it attracts up to 400 elaborately costumed individuals. On weekends, a favorite dance to attend is the Outdoor Dance Party. It takes place just outside Bonhomme’s Ice Palace on a snow-covered dance floor. It’s lots of fun, but you have to keep dancing to stay warm. Quebec City has a rich and vibrant nightlife, similar to what exists in Europe. Not only does the city have a European feel with stone fortifications, centuries-old buildings, and French spoken everywhere, but they party like Europeans as well. The city has plenty of tasteful pubs and nearby bars. If dancing is your thing, the city also offers a fair amount of trendy dance clubs in some unusual locations and historical buildings. Many of the bars have dance floors as well. Most establishments stay open until 3 am. The dining scene in Quebec City outside the carnival boundaries is pleasantly surprising. A city only a fraction the size of Montreal, the European charm and old-world influence is deeply entrenched in the city’s restaurants. Be it an authentic meal of French onion soup and savory crepes or homemade shepherd’s pie and Irish stew, Quebec City has something for all tastes. BeaverTails. These delicious pastries are a favorite with carnival goers. 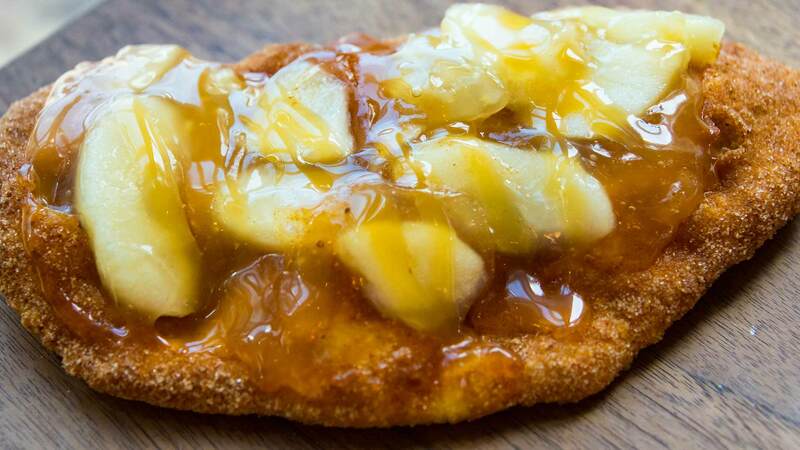 It’s hard to believe something as simple as fried dough can taste so good. Traditionally, they are garnished with sugar and cinnamon, but many places serve them with toppings like caramel, oreo crumbs, whipped cream, and chocolate syrup. Poutine. Many places claim that they invented poutine. Don’t believe it. This is a Quebec classic created in the province, consisting of french fries and locally made cheese curds covered in gravy. If you’re a big fan of french fries, give it a try. Le Chic Shack is a favorite of local diners. Maple Taffy. This incredibly yummy treat is prepared with maple syrup boiled down to a thick consistency and drizzled over snow. In a few seconds, the syrup cools and is ready to eat. Dip the end of a popsicle stick in it and start to twirl. Eventually, you will get a gooey, maple snack on a stick – very tasty. Tourtiere. The perfect comfort food, tourtiere is a meat pie usually served in the winter months. In Quebec, it is traditional for French Canadian families to have tourtiere during Christmas. The filling can be pork, veal, beef, wild game, or any combination. Caribou. The drink everyone seems to be drinking at the Quebec Winter Carnival – except the kids – is caribou. It’s a sweet alcoholic drink made out of red wine, brandy, and maple syrup ( exact recipes differ). This drink, which dates back to the 17th century, was used by the Coureur de Bois (French Canadian woodchoppers) to stay warm on their travels during harsh winters. There is a contest for just about every interest at the carnival. You can see snowshoeing, hockey tournaments, and live graffiti mural exhibitions to name a few. Also, world-class freestyle skiing and snowboarding competitions are a huge draw, bringing in the top competitors from all over the world. 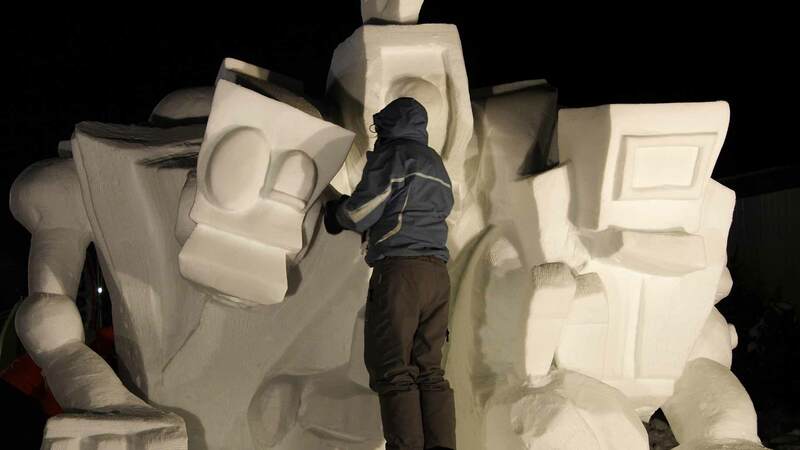 The one that the Quebec Winter Carnival is known for is the International Snow Sculpture Competition. You can watch as larger than life-sized works of art are sculpted before your very eyes. These teams, from as far away as Europe, Asia, and South America, bring the snow to life with shovels, chainsaws, and other improvised tools. The actual work takes place during the first week of the carnival, but the finished sculptures are there for you to enjoy until the closing ceremonies. Many visitors consider this the best part of their trip. Many races also take place during the carnival, using everything from sleighs to snowmobiles. Not all of them are official events, often taking place in other parts of the city. The two most popular sanctioned events are the ice canoe races and the dogsled races. Imagine being part of a crew, paddling your way across the half-frozen, dark waters of the mighty Saint Lawrence River – one of the longest, widest rivers in the world. Swiftly moving ice floes are everywhere, and most of these crushing chunks of ice weigh several tons. With little open water in many areas, your crew has to paddle, push, pull, and wrestle the large, fiberglass canoe over the ice and water to the finish line. As far as dangerous sports go, ice canoeing must be near the top of the list. Each year, international teams come to compete at the Quebec Winter Carnival which hosts one of the biggest, most prestigious ice canoe races in the world. This is an event that should not be overlooked. The dogsled race features some of the best teams from around North America and Europe. It’s great fun to watch these sled teams barrel through the city streets of Old Quebec, but stay behind the boundary rope because these dogs mean business. Each run is timed, so it’s not a race in the traditional sense. The team with the fastest time around the 3.7 mile track takes the prize. The dogsled race is a popular event, so make sure you get there early to get a good spot. The length of the Quebec Winter Carnival, the numerous events, and the winter climate make planning requirement. Everything from where you will be staying to what you will wear can make the difference. There are many excellent hotels in Quebec City. 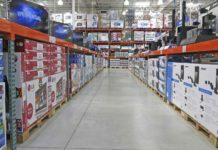 However, it makes sense to choose one that is close to the activities and events. Hotel Chateau Laurier Québec, Fairmont Le Chateau Frontenac, and Hilton Quebec are great places to stay and very close to the festivities. They can get pricey, though. Before you reserve a room further away from the carnival site, check for some package deals which may make higher-cost places worth your while. At this time of year, there are many good deals to consider, and almost every hotel is offering something. Quebec City is frigid, with average temperatures barely reaching 20 degrees Fahrenheit during winter. Make sure to bring clothing appropriate for the climate. Parkas, gloves, hats, earmuffs, and winter boots are all required for since the vast majority of events and activities are outdoors. Your best bet is to get dressed in multiple layers for maximum warmth. It also snows frequently. Snow removal is usually more than adequate, but the sidewalks can get icy. The Quebec Winter Carnival is a delight. Even those who shy away from snow and winter temperatures can find something enjoyable. The number of activities and events is astounding, and everything you can do on snow or ice has a place in this celebration. Add in the phenomenal nightlife, restaurants, and historical charm of Quebec City, and you have an affordable trip well-worth the price. If you’re looking to save money while traveling, check out our 11 Ways to Save Money on Vacation and 10 Affordable Travel Tips to Stay Within Your Vacation Budget. What activities and events at the Quebec Winter Carnival interest you the most? Arto Baltayan has the unique ability to make complex topics understandable to all. His love of personal finance, business, investing, and technology is what has brought him to Money Crashers. Arto has extensive experience as an IT professional. Today, he makes his living as a technology writer and technical documentation specialist.